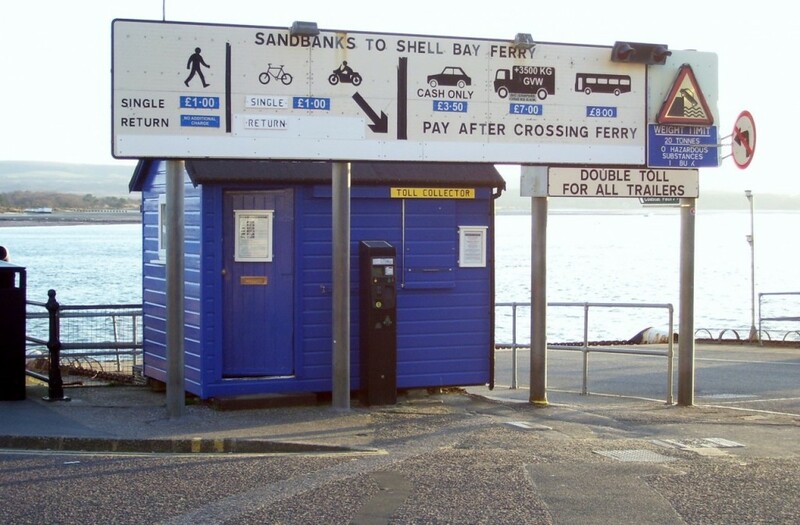 TOLL BOOTH: Here is where motorists and cyclists waiting for Studland purchase their tickets before embarking onto the Bramble Bush Bay chain ferry. SOUTH FACING: This is a view looking out towards the English Channel and the Atlantic ocean in front of the Haven Holiday Hotel. 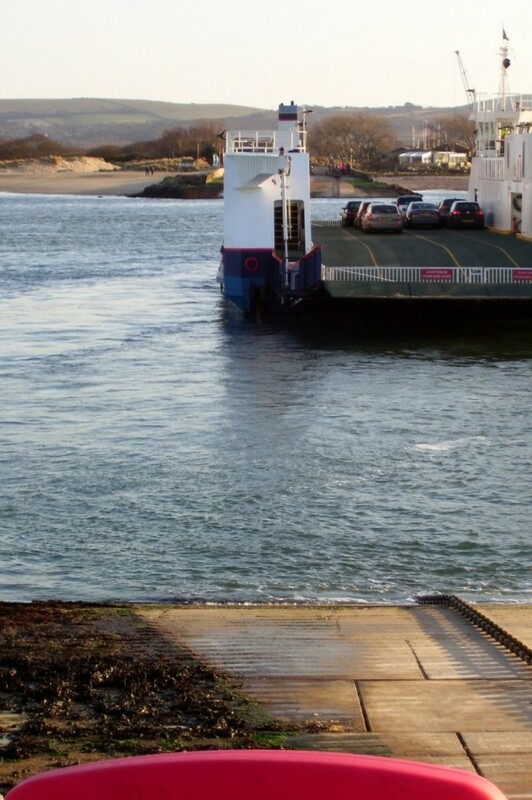 PURBECK BOUND: The 242-ft Bramble Bush Bay takes a ferry half full o ftraffic on board back to Studland. HARBOUR ENTRANCE: This picture was taken just below the left of the ferry ramp. It was taken late on a Sunday afternoon and it captures the character of this special place. ISLAND VIEW: This is what faces the visitor when they look towards the right side of the ferry ramp. Across is Brownsea Island and in the foreground are some of the jetties belonging some of Dorset’s most expensive properties. 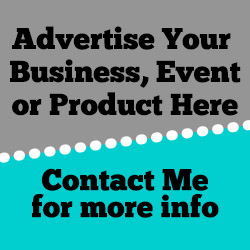 SIGNAL POINT: The Haven Holiday Hotel has spectacular views of the entrance to the harbour from inside and is also the third place on the planet to boast a permanent wireless station. VALUED ASSET: Looking at the Sandbanks peninsula from my bike on Shore Road. Across from the edge of the peninsula, it looks like it could be touching Brownsea Island. DORSET’S most famous peninsula, Sandbanks, is said to be the fourth highest land value in the world by area. With the weather making a significant improvement, I took the opportunity to cycle down and spend some time looking out to Brownsea Island and see the ferry to and fro from Studland. Whilst I was there, more traffic was coming back than going out as day trippers must have gone out for the day in the Purbeck district. 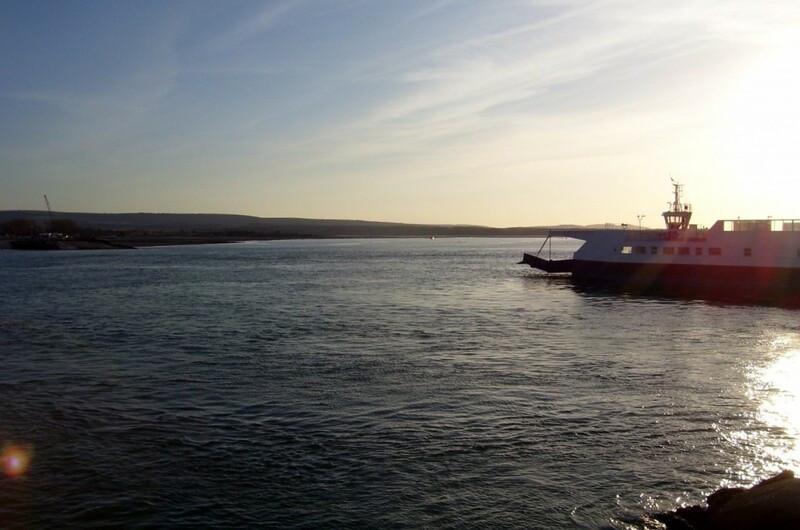 The Bramble Bush Bay chain ferry operates the Poole to Swanage and takes off 25 miles from the round trip a motorist would otherwise have to undertake. This certainly has to occur when the chain ferry is taken out of service for its regular bi-annual refit maintenance. The ferry operates under the Bournemouth-Swanage Motor Road and Ferry Company and Bramble Bush Bay is the fourth ferry to operate for the firm since it came into existence in 1923 following an Act of Parliament. The 242-ft ferry has a diesel-hydraulic propulsion system and has a capacity for 48 cars. 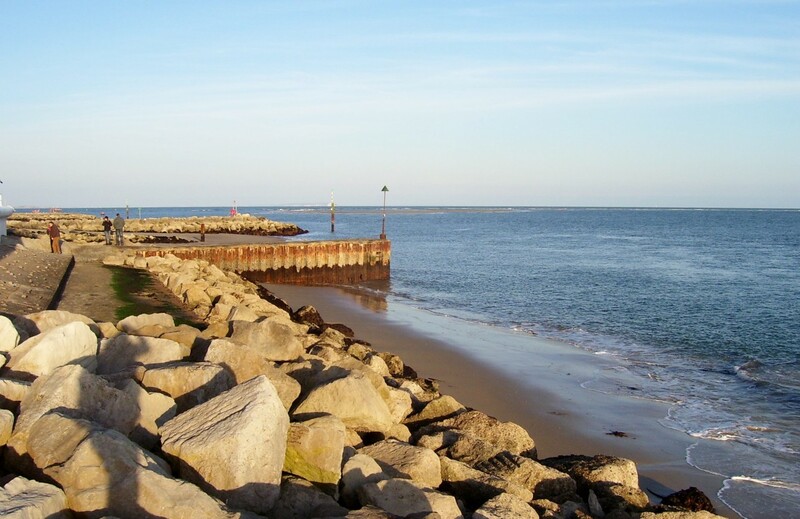 The chain service connects Sandbanks to Studland which runs across the mouth of Poole Harbour, the second largest in the world after Sydney Harbour in Australia. 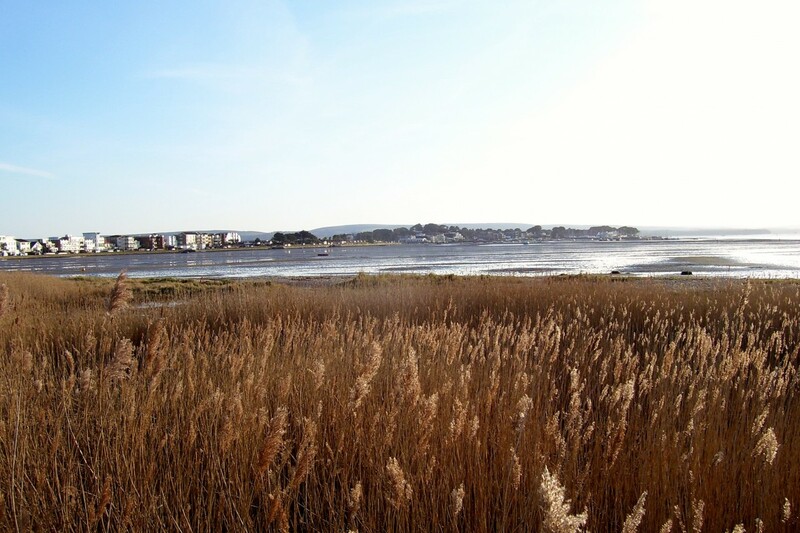 The Sandbanks area of Poole Harbour (also known as North Haven Lake) is regularly used for water sports and light marina craft. The north side of the peninsula is home to the southern headquarters of the Royal Yachting Association and an international sailing school. The mouth of the harbour has views to the north of Brownsea Island, Poole and the rest of the harbour; Studland and Swanage to the west and across the English Channel to the South. Sandbanks and its adjacent parts of Poole such as Canford Cliffs, Lilliput and Branksome Park are home to some of the most expensive real estate in the UK outside of London. The coastline from Sandbanks to Canford Cliffs is often been dubbed ‘Britain’s Palm Beach’. To illustrate this point a bungalow on Sandbanks that was in a state of disrepair sold for £3M and two years later in the same state, fetched a further million pounds. Another reason why the property prices are so high here is because the beach at Sandbanks is known as the best beach in England and was awarded ‘European Blue Flag’ status for its water quality and beach cleanliness. Having swum there myself in recent years, I can vouch that it is very clean. 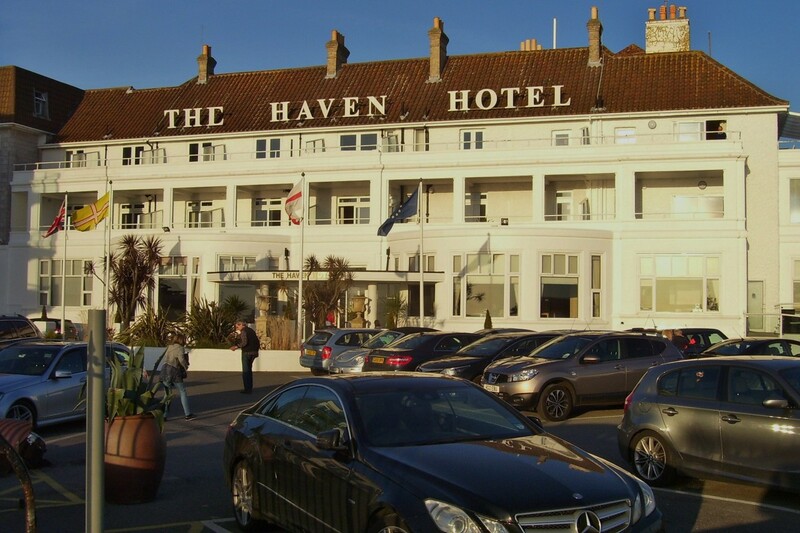 The Haven Hotel, that sits opposite the chain ferry, has been in existence since in 1887 and through the 1890s was the home and centre of wireless experiments by Giuglielmo Marconi by 1899 was the third place on earth to boast a permanent wireless station. On the rare occasion I’m walking in the area I indulge myself I go in there for an expensive coffee and a piece of cake and I promise it is chic but worth it for the views across the harbour entrance. 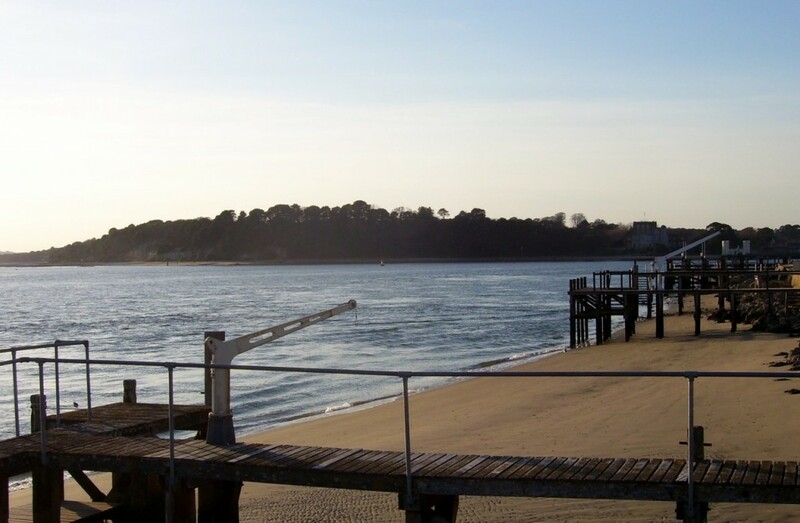 If you have done the circuit around the peninsula, you can always drop into the award-winning Sandbanks Beach Cafe for some refreshment, home-made food and stunning views across the bay. Amongst the local residents are former QPR and Bournemouth manager Harry Rednapp; his son, former Liverpool player and TV pundit, Jamie Rednapp; West Brom manager Tony Pulis and former Liverpool midfielder Graeme Souness.